Look at that, a new fix pack. #47, we long ago passed the #42 and are heading to the magic #50 but first things first. You of course would like to know where to get this, over at Fix Central. No, IBM did not update the latest fixes update technote yet, so I have no info on what is inside this one. Cannot edit a member on the Member’s Page. In customer specific place, cannot remove members from a the Member Page. Crash when running qptool changememeber. Cannot view a folder in Connectors when certain Chinese characters are used. Under certain circumstances, unable to restore a folder from Trash. The login count is displayed incorrectly for certain places in a clustered environment. Attaching an Image File to a custom Form and then insert an image in the Rich Text Editor, the Attachments tab shows 2 files. With themes lower than the 8.5 theme, a user sending a notification from a Room has the option to select all members, even though those members may not have access to the room. Fixes for issues dealing with groups when migrating to Connections. 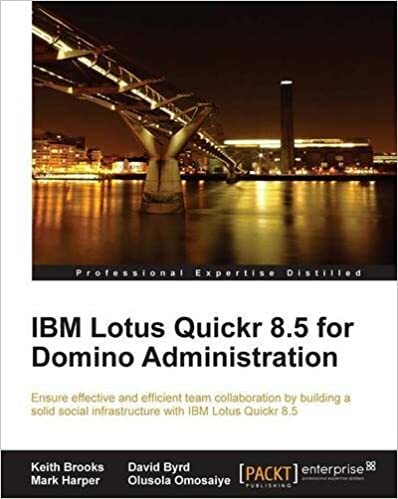 This post has been graciously sponsored by the Author on behalf of his excellent Quickr for Domino Administration Book found on Amazon.